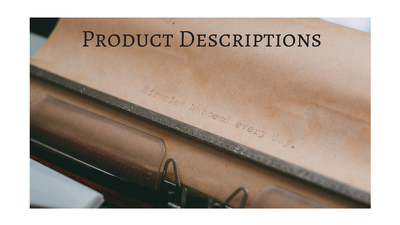 Specialist in product descriptions, Amazon descriptions, website content, blog posts, articles, and product reviews that are both engaging and Search Engine Optimised. I am an independent freelancer and complete all projects myself. I do not outsource to other writers. All content is passed through Copyscape Premium and 100% unique. Catering for a wide range of clients on a wide variety of subjects, I can fulfil your copywriting needs. Please contact me to discuss your writing project. Wendy did a superb job, exceeding our expectations in terms of content creation. Communication was efficient and the job done in very good time. Will continue to use Wendy's services. Thank you!! Quality, fast, easy to work with - as per usual. Wendy is an absolute pleasure to deal with. Work is of high quality and I would not hesitate to recommend. Will definitely be working with her again. Given the fact that I was late in submitting the documents to Wendy to enable her to begin her task, she completed her work in a very fast manner and I am more than happy with her work quality. My overall impression of Wendy's work is Awesome, she comes highly recommended. Thank you so much Kwesi. It was a pleasure to work with you. Very happy with the work - high quality copy delivered well within our requested time frame. Will certainly use again, Thanks Wendy! Web content writer / blogger needed for fine jewelry website. Wendy did great job! She was on time and did an excellent job! I'm going to get back to her for my upcoming projects as well. Thanks Wendy! Excellent work provided by Wendy as always. Thank you. Amazing. Wendy has excellent communication and is very easy to work with. 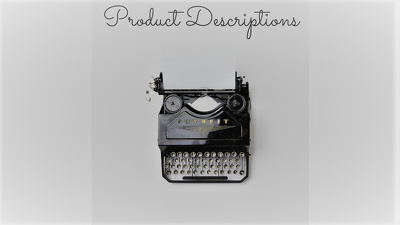 Her product descriptions were spot on and so quick!!! Thank you so much Wendy!